The Province of Chieti, is a province in the Abruzzo region of Italy. Its capital is the city of Chieti. It has an area of 2,588 km², and a total population of 381,993 (2001). 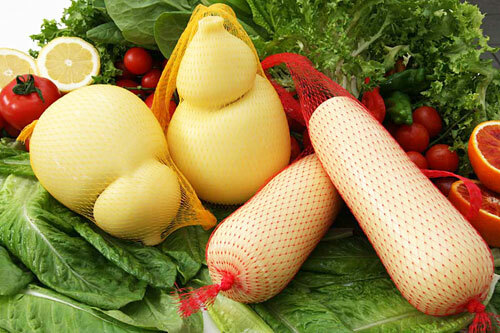 There are 104 comunes (Italian: comuni) in the province, see Comunes of the Province of Chieti. 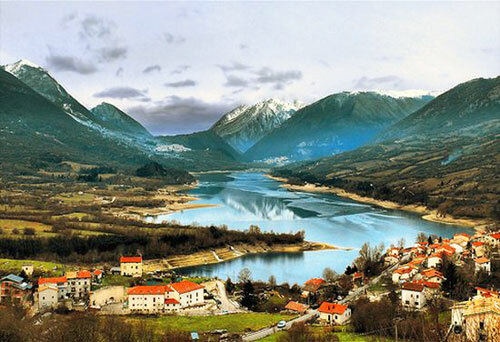 This Province is mostly a hilly and mountainous area between the Adriatic sea to the east and the Maiella chain to the north-west. 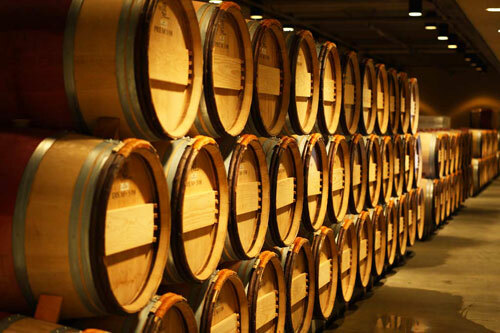 It is extensively cultivated with olive trees and vineyards, and produces celebrated wines and extravirgine olive oil. 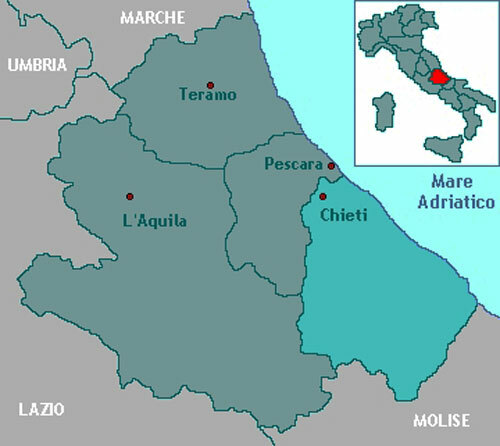 The province of Chieti was called “Citeriore” since it was situated to the right of the Pescara river and was in Latin “citra” (=this side) with reference to Naples, the capital of the Kingdom. The Pescara river separated it from the province of Teramo, the Apennine Mountains from the province of L’Aquila, the right shore of the Sangro and the Valicella of the Varrino from Molise. The territory includes mountainous features, the group of the Maiella, and 72 km of steep and rocky coast, along the Adriatic sea. The teatine coastline is called Costa dei Trabocchi because of the trabocchi which are picturesque wooden fishing machines. The coast is characterized by an alternation of low sandy beaches, stone beaches and high rock cliffs gently sloping into the sea. 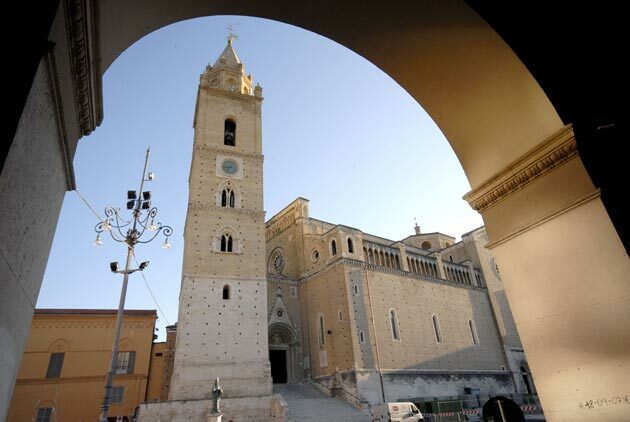 Chieti is the fourth municipality in Abruzzi for number of inhabitants and over time it has been dominated by the Angioini family, the Aragonesi family and the French, in the 19th century . 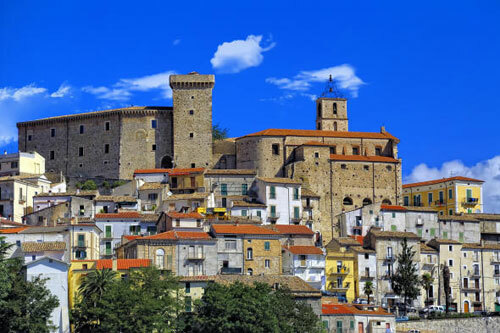 It stands on a hill which separates the Aterno-Pescara waters from the Alento ones. The city comprises of two parts: Chieti Alta (the higher part) including the old city centre, and Chieti Scalo, (the newest part) including the university campus. 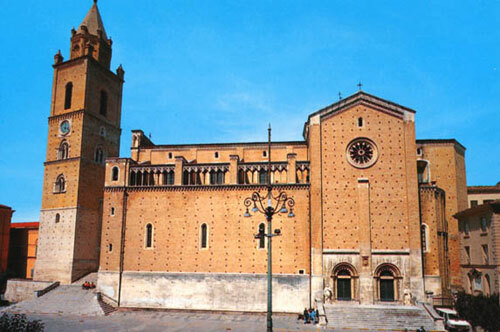 The Cathedral of S. Giustino is the biggest and most important church in town. The municipal villa, a neoclassic residence, hosts the National Archaeological Museum of Abruzzi. The exhibition of frescos, paintings and ceramics of the Museum of Art “Costantino Barbella”, hosted in the Martinelli-Bianchi palace, and the Museum of sacred art of Ortona are also impressive. 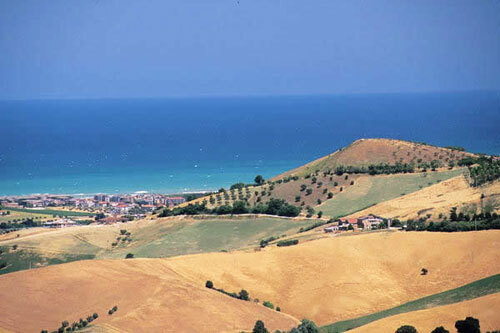 Vasto is the second largest town of the province for number of inhabitants and, like Chieti, has pre-Roman origins. The city comprises two parts: Vasto town, the old city centre, and Vasto Marina, the new residential and commercial centre. 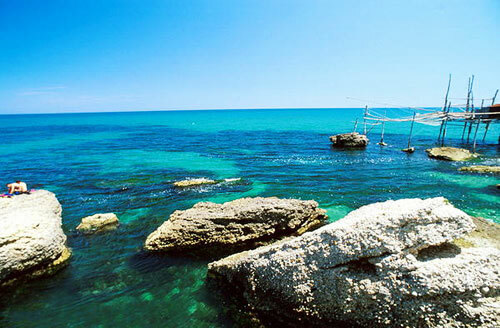 Vasto coastline is one of the favourite seaside destinations of the region. 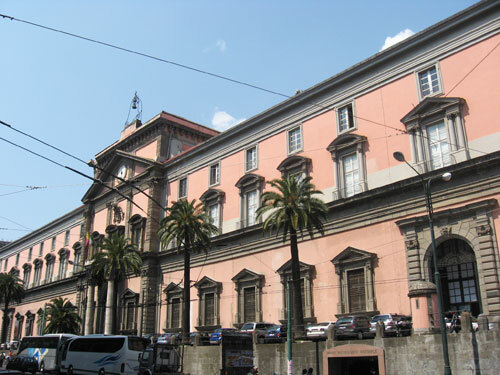 The Cathedral of San Giuseppe dates back to the 18th century, while the D’Avalos Palace stands on the ruins of a 14th century building and takes its name from the last family who ruled the city: it hosts the Archaeological Museum and the picture gallery. 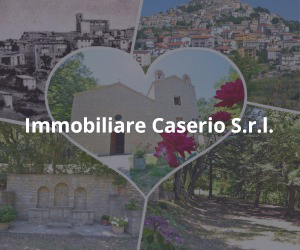 During the 19th century, the Caldoresco Castle was also used as a private residence. 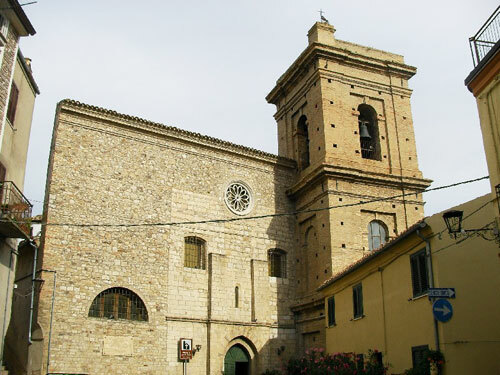 The province also offers the Roman thermae, the Municipal Archaeological Museum and the Diocesan Museum of Lanciano. In 2002 the Museum of the Battle Ortona-MUBA ’43 opened its doors: it presents a thematic path recreating the battle of Ortona, to commemorate the 1314 civilian victims and the Canadian and German soldiers who died in December 1943. The il Museum of sacred art in Ortona and the Art Museum Costantino Barbella situated in the Martinelli-Bianchi palace are also impressive the latter houses the exhibition of frescoes, canvases and ceramics. 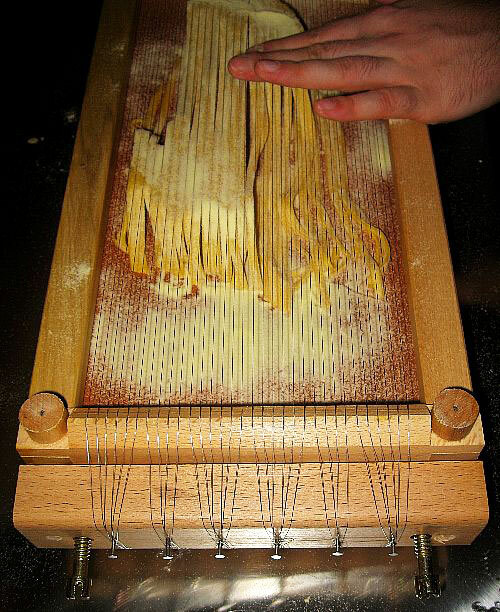 The Spaghetti alla chitarra is the most famous main course, like in the rest of Abruzzi. Then there are the lamb arrosticini, a typical inland dish that nowadays is widespread also near the coast. The turcenelle with tomato sauce – stewed kid entrails cooked with a lot of hot pepper – and rabbit alla chietina – stuffed with ham slices, seasoned with rosemary and then cooked in the oven – are also very tasty. Among the sweets, don’t forget the torrone with dried figs and the famous sanguinaccio alla chetina, with filtered pork blood, must, cinnamon, chocolate and pine-nuts. The major fish dishes are the anchovies all’ortonese and the cuttlefish alla sanvitese. The city of Lanciano produces a very good and spicy hot pepper. 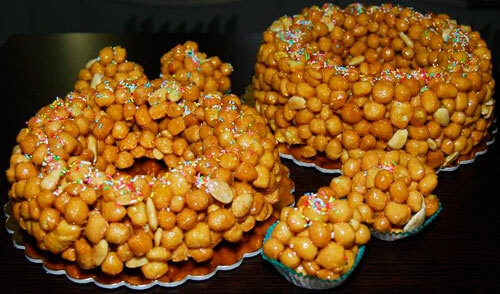 Sweets are based on simple ingredients: the pizzelle, the tarallucci, the cicerchiata and the fiadoni, traditional Easter sweets. 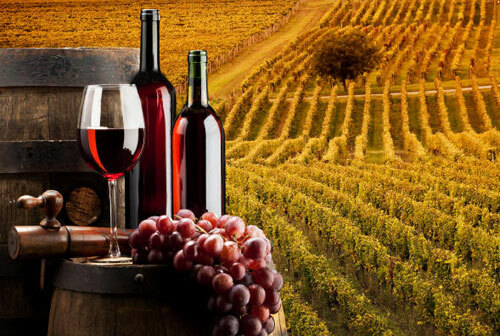 And don’t forget the typical wines of Abruzzi, such as the red wine Montepulciano d’Abruzzo and the white wines Trebbiano d’Abruzzo and Cerasuolo d’Abruzzo. Local liqueurs are also very famous, such as the well-known Amaro abruzzese.